We came in early at 6PM at the restaurant and slowly made our way to try out great food selections. It was kind of hard to decide which ones to indulge in as there were over 150 dishes that spans across Japanese, Chinese, Western, Italian, Korean, local regional favorites, seafoods etc. The international buffet spread it offers seem to cover every guest’s whims. Vikings' show kitchens enable guests to see how dishes were prepared by their chefs. Freshly picked salmon, prawns, squid and other seafoods to prime ribs can be custom cooked to suit individual tastes. Their grill section offers a wide variety of meat selection for the best barbeque and grillery experience. Wagyu, Angut beef, baby back ribs, lamb shanks etc., name it and they have it. There were lots of toppings for freshly-made gourmet pizzas. This make-your-own-pizza station is truly a come on for kids and kids-at-heart who want to have fun creating and then eating their masterpieces. Vikings has a wide array of seafood options and you can do whatever you please--steamed, grilled, shabu-shabu or Japanese hot pot style. Sushi, Sashimi, Maki experience to the max! The desserts section were packed with an assortment of delicacies and free-flow fountains of chocolate for fondue assortment. They also have all sortsof cakes and panacotta much to my delight! Drink options include sodas, strawberry lemonade, blueberry lemonade, iced tea, alkaline water and coffee. Health buffs may even have their own specially concocted smoothies and fruitshakes. Vikings happens to be a great place to celebrate your birthday. Celebrants get to eat for free, plus get a cute cake from the waiters that render a birthday song while holding an oversized Viking “Happy Birthday” placard. The Viking Hat was all over the place as there were lots of celebrations on the night we went. Vikings offers one of the best buffets in the metro. So visit Vikings at 4th Floor, Mega Fashion Hall, SM Megamall. I haven't tried Vikings yet because I'm hearing and reading mixed reviews. Di rin kasi ko malakas kumain, lugi sa bayad. hehehe! 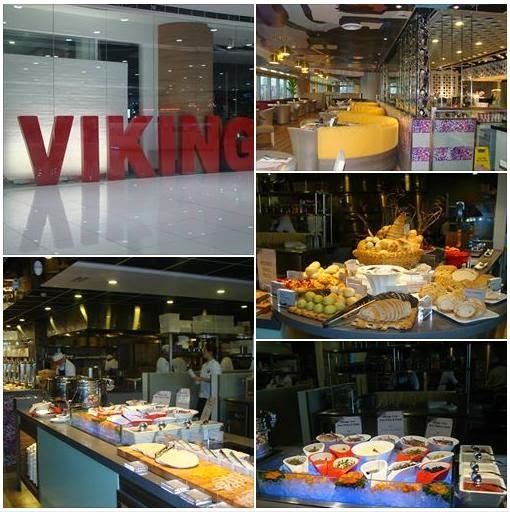 Vikings is the best buffet for me. I really love the long spread. Oooh I miss Vikings! The first and only time we tried it was way back December 2012 at their SM MOA branch. It was a great buffet experience. I haven't been to Vikings yet. But the price looks sulit with the variety of food that you showed. I'm a cake lover and I was overwhelmed by their selection. It was so nice seeing you at Vikings! I loved the pasta and the steak there. Same here, Peachy. Had my fill from the seafood and meat grill stations. Those are definitely a lot to choose from. I love buffets. I have never eaten at buffet, 'cause usually lugi ako 'cause I don't each that much hehe, but the desserts look good. 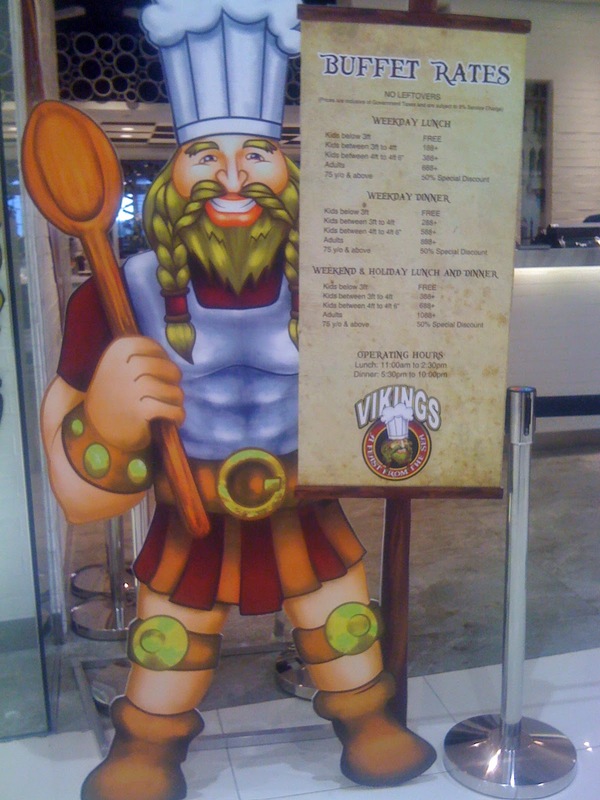 I haven't tried Vikings before because I thought they were still just in SM MOA or SM Marikina.. both tooo far for me... Thanks for the headsup that they already have a branch in Megamall! haven't tried Vikings.. wala kase malapit sa Pasig dati pero I heard meron na sila sa Mega?